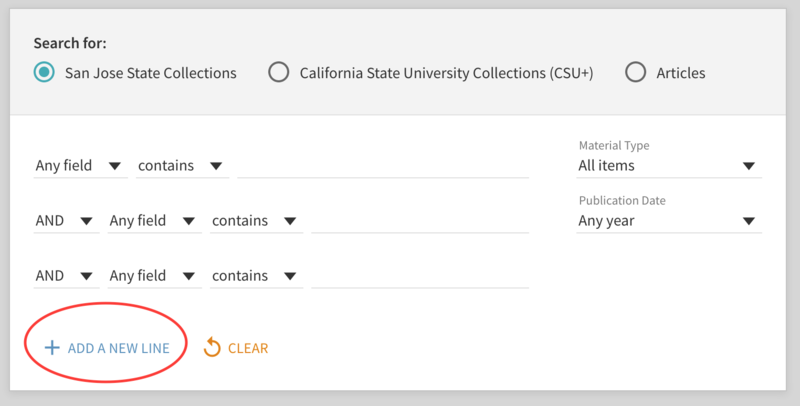 If you are doing more specialized or complicated research, try using Advanced Search. 1. 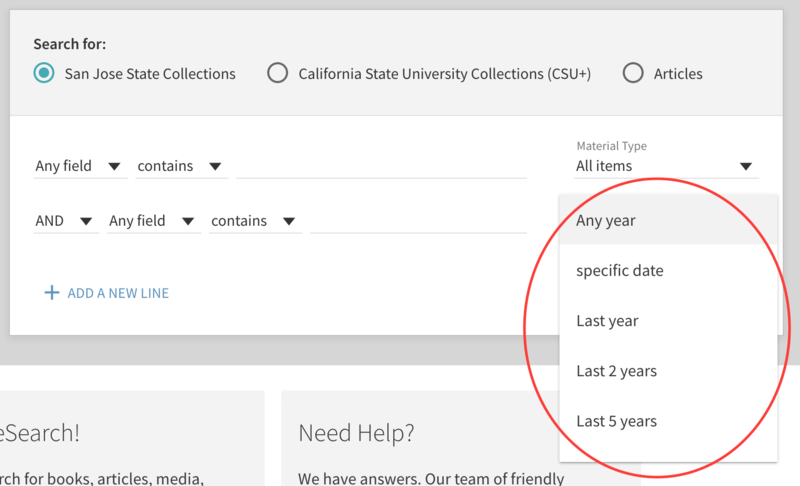 You can add in more concepts or keywords for more precise searching. 2. 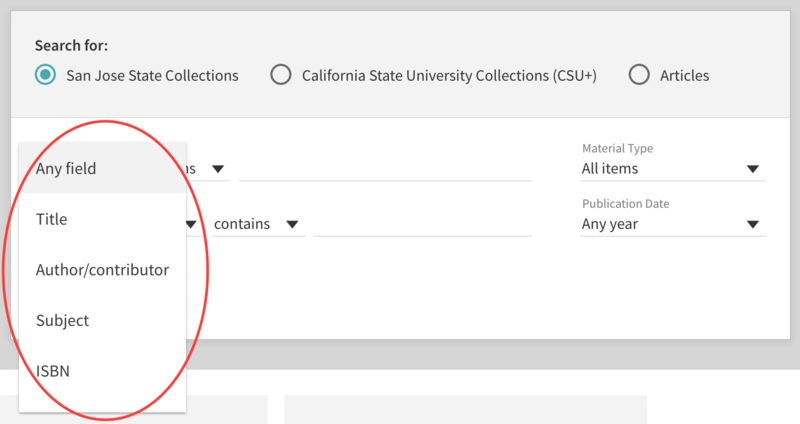 The default search is by keyword, but you can also choose Author/contributor, Title, Subject, ISBN, ISSN and Call number. 3. You can limit by publication date to any year, last year, last 2 years, last 5 years, last 10 years and last 20 years. 4. 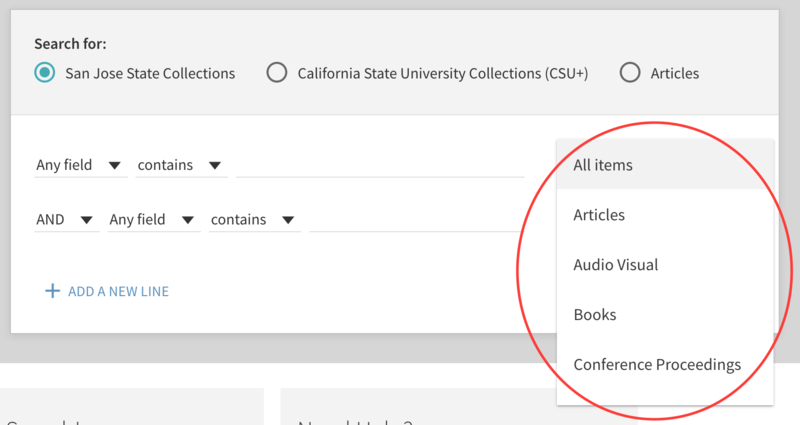 You can use the material type limiter to search by All items, Articles, Audio Visual, Books, Conference Proceedings, etc.